A seasoned individual with over 17 years of experience in leading product development and service delivery, Jitendra Kanojia currently heads the Omnichannel & Customer engagement function of fbb at Future Retail Ltd. Over the years he has worked on IT and analytical solutions for organisations like Nike, Fossil, Target, LG, GSKCH, Estee Lauder etc. With core competencies in Retail and CPG analytics, program management and solution delivery, client / partner relationship management and lean startup methodologies, he is passionate about product innovation, customer experience and design. He is also a guest faculty and teaches at some of the premier MBA institutes. 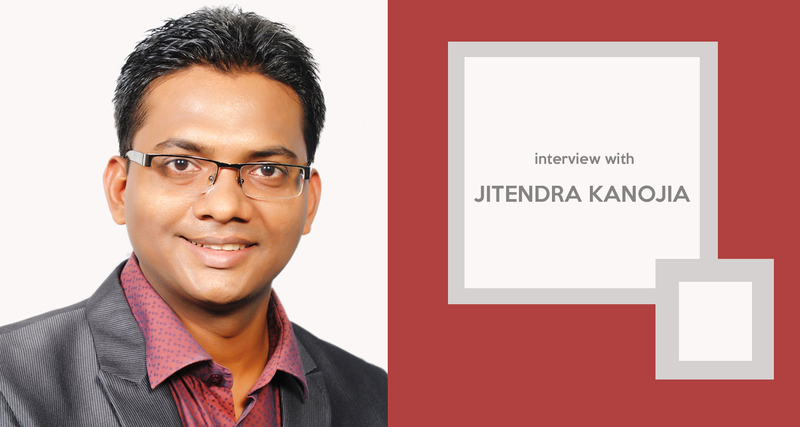 AIM interacted with Kanojia where he shared his insights on the adoption of analytics in retail industry, his journey in the analytics space, challenges in the industry and much more. Analytics India Magazine: How did you start your career in Analytics? How has the journey been so far? Jitendra Kanojia: Quite Interesting! I am lucky to have cross functional experience that spans across 17 years working in Operations, Technology, Product Management and now Analytics. My tryst with analytics began when I was developing a solution for the largest sportswear company in the US to help them gain insights around how their products are sold across channels with respect to pricing, promotion and product content. AIM: How has been the adoption of analytics in the Indian retail industry? What have been the benefits till date? JK: Unlike the Western markets, Indian Retail is still largely unorganized, general trade still accounts for well over 90% business. There are more than 10 million Kirana (mom & pop retail) stores in India and each of them serve a catchment of about 500 to over 2,000 households. One big challenge in General trade is that there is limited visibility into consumer offtake due to absence of Point of Sale (POS) data. Leading Consumer Packaged Goods (CPG) in India have taken upon themselves to improve their Retail execution. They realize it is no longer easy to keep adding new stores as the cost to serve is getting higher than the marginal return that they get. CPG Companies have started using Analytics in various areas of Demand Forecasting, Assortment Optimisation, Supply-Chain analytics and Sales Force automation. They deal with millions of transactions (sell-in) data coming from multiple source systems, complex syndicated databases and other 3rd party databases. Using this, CPG’s can easily understand a store’s real potential of what it can sell basis its neighbourhood. They are able to improve the width & depth of assortment at an individual store level, reduce out of stock scenarios and enable their sales representatives to cross sell SKU’s that easily results in 8 – 10% improvement in lost sale opportunities and overall topline. In fact, analytics is now getting embedded in all areas of their work be it pricing, trade promotion, new product launch etc. Unilever’s “Perfect Store” program is a great example in this space. Modern Trade although small has been quick to adopt analytics in areas like Customer Analytics, Digital Marketing & E-Commerce, Price & promotion optimisation etc. Large retailers now gather vast data sets from physical assets in near real time, run advanced analytics to generate accurate insights, and execute more effective business decisions. AIM: What is keeping you busy these days? What are some of the analytics projects that you are driving? JK: In the journey of where fbb is today, it’s important to look at all business areas from the customer lens. Retail is seeing its second wave of disruption which is ‘Phygital’—a combination of physical and digital, also called ‘Omnichannel’. A true phygital approach involves building a cohesive ecosystem blending both online & offline. It means coordination of all business functions including marketing, front end sales, operations, fulfilment and customer support to create a seamless and consistent customer experience. The fundamental tenet to achieve this is only when you have a 360˚ view of your Customer. An aggregated & holistic view of the customer data can help with improving your Cross-channel marketing strategies, offer higher level of service through better customer understanding and most importantly enable you to sell the right product to the right customer at the right time. How do you help customers decide whether it’s worth for them to commit their time & attention to you? It come through 2 things: a) identifying your customers and b) knowing them well – understanding them & their household, what do they like, when do they buy and what is their preferred channel of communication. And that’s only possible when you continuously keep enhancing customer data and connect better with them – better segmentation, better targeting, better personalisation, more accurate communications and Real-time triggered messaging. To run this at our scale, its needs good orchestration of technology along with Data science. I am running multiple projects like Omnichannel enablement, streamlining Marketing Operations Automation, Customer Data enrichment, Single view of customer, Segmentation and modelling to bring all of this together. JK: Very often people think that big data & analytics is a silver bullet. For instance, you develop a good enough churn predictor model and start communicating with customers that have higher probability to churn, is that good enough? You need to put all elements of business together to influence the outcome, analytics just being an enabler. Therefore, such initiatives require a change management approach. You need to evangelise and market these concepts & benefits to your internal stakeholders. The other big challenge is finding the right skill. Too often, you will find data science driven projects being run with no clear business objective / outcome in mind. People often get carried away with the “analysis & paralysis” syndrome. It is important that analytics is institutionalised as a practise in the organisation. JK: Today technologies like artificial intelligence, machine learning, IoT are answers to a multitude of business problems. Digital Kiosks, Virtual Trial room, Smart Beacons allow retailers to offer the same or better shopping experience as online without the need for adding more space. China’s ecommerce giant Alibaba set a record this season by selling GMV of more than $25 bn in one single day. While majority of their sales came through online, the company also experimented with AI powered Technology solutions to attract offline shoppers. Their FashionAI is an interface to customers that they can use while trying out clothes. It makes clothing & accessory recommendation using machine learning, which learns from items being tried. Amazon has acquired 3D Body model startup Body labs who can create 3D scans of your body, meaning you could virtually try on clothes to see how they’ll fit. Plenty of start-ups are coming up in this space providing it as a plug & play service. These services will become mainstream in a couple of years. AIM: Do you think there is a dearth of skilled talent when it comes to technologies like analytics, artificial intelligence in India? What can be some of the ways to deal with it? JK: Skilled talent as I mentioned earlier is a big challenge. The best minds have aspiration to work for Google, Apple, Amazon or they get picked by VC’s and launch their own start-ups. Businesses therefore are seeking to up-skill their in-house resources. Universities today are more than willing to take up live projects for their students. Hackathons are a great way to attract talent. Summer interns also have given us some very good results. JK: As businesses rely more and more on analytics to search for answers, data storytelling is becoming an essential skill. If insights aren’t understood and aren’t compelling enough to the business stakeholders, it is difficult to drive big data & analytics adoption. This is one of the top priorities on my personal agenda. Disclaimer: The views expressed in this article are entirely mine and have no relationship to the view of Future Retail Ltd. And / or its subsidiaries or partners.